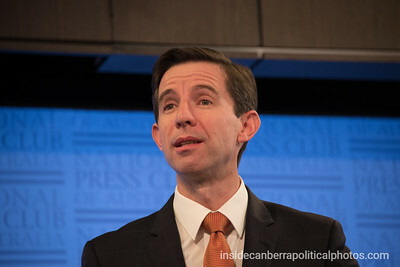 Senator the Hon Simon Birmingham, Minister for Education and Training address to the National Press Club, photos from his visit to the club. 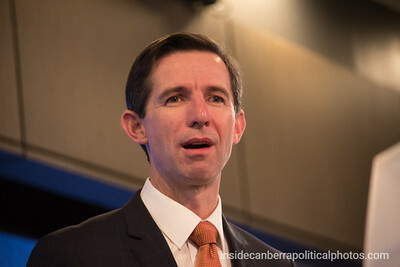 Simon Birmingham has served as a Liberal Party Senator for South Australia since May 2007 and in September 2015 was appointed to position of Minister for Education and Training. 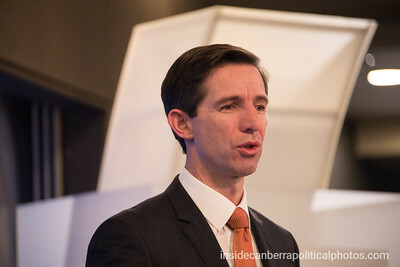 Simon Birmingham listens to the Prime Minister at the National Press Club earlier in 2017. 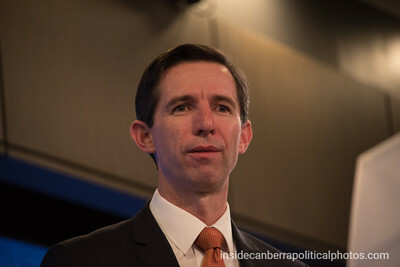 On 4 May he will be delivering an address to the NPC. More photos will be available from the event. 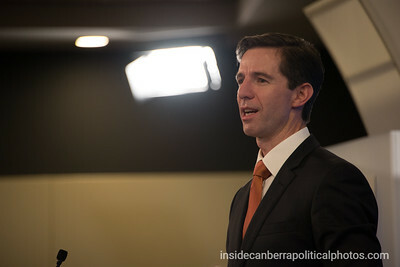 The Minister for Education and Training speaking during his NPC address in Canberra. "As a six year old I didn't think about it much at the time. I just seized the opportunity to sneak some chocolate biscuits or chips into the shopping trolley!" Senator Birmingham talking during his NPC address. 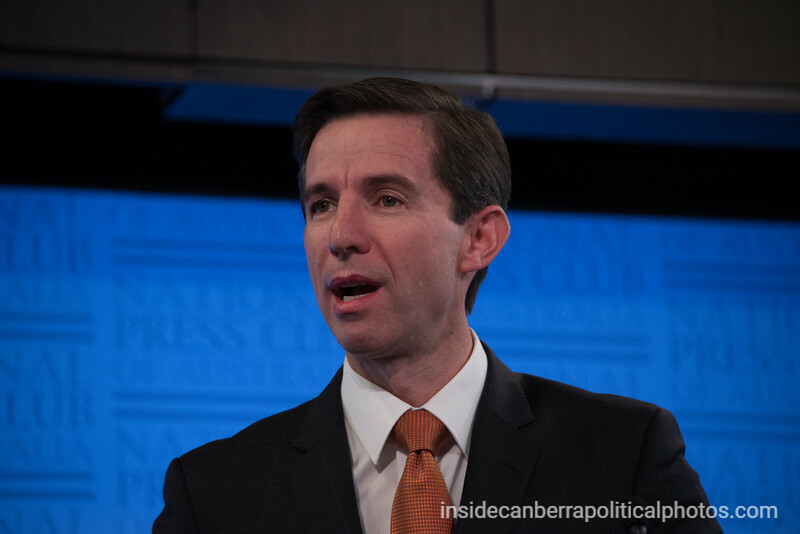 "Ensuring value for money in our education spending, in ways that deliver the highest quality outcomes, was a central theme of the issues I inherited when I became education minister 19 years ago., 19 months ago [laughter]. It certainly hasn't been that long, but this week it does feel like it." 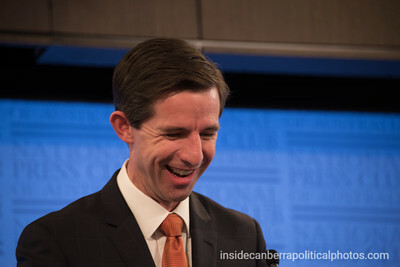 Senator Birmingham laughs after a slip of the tongue. 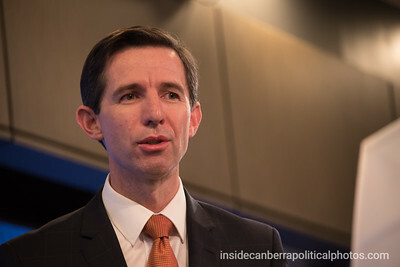 "Ensuring value for money in our education spending in ways that deliver the highest-quality outcomes was a central theme of the issues that I inherited when I became Education Minister 19 years ago- 19 months ago! [Laughs] It certainly hasn't been that long, although this week it could feel like it. " 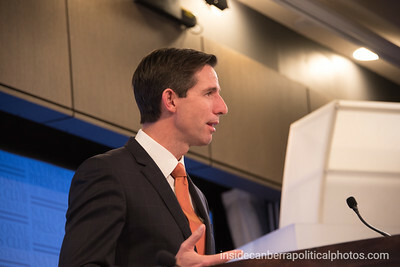 The Minister for Education and Training outling the Turnbull government's vision for education in Australia during a National Press Club address. Protesters take to the stage. 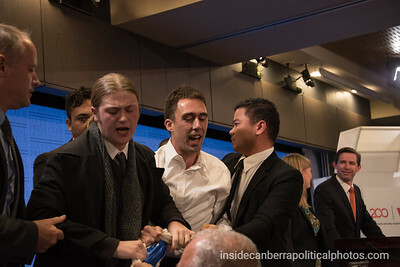 They were chanting "No fees, no cuts, no corporate universities," before they were pulled off the stage. 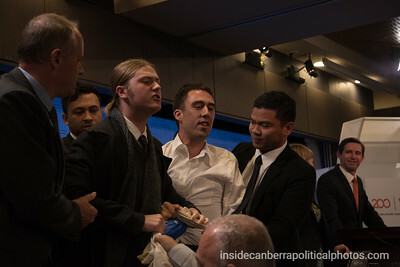 The protest continued as security worked to remove them, and to stand alongside Senator Birmingham. 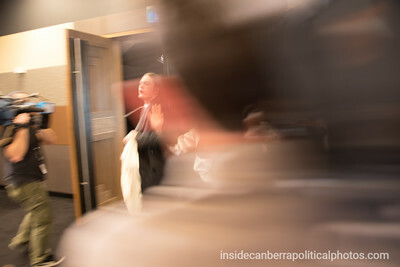 After being startled at first, Senator Birmingham was now in a more relaxed mood as he chatted with Sara Martin, the MC for the event, meanwhile the security guards continued to struggle with the protesters. 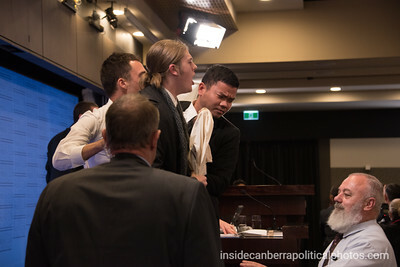 Protesters interupt Simon Birmingham as he delivers his National Press Club address in Canberra. 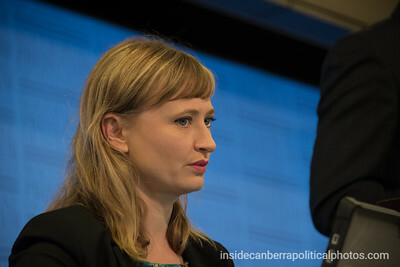 "No fees, no cuts, no corporate universities," they chanted as they were removed from the stage at the National Press Club in Canberra on Thursday. 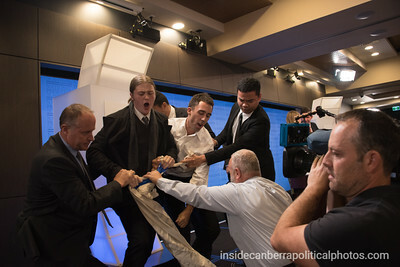 The protesters failed to unfurl their banner and after about a minute they were removed from the room. 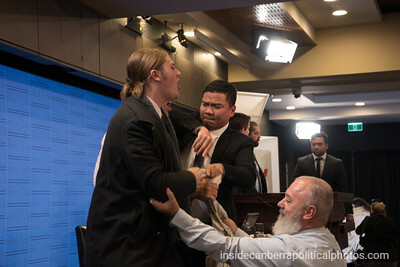 The chaotic end to the protest at the National Press Club during the Minister for Education and Training's address. 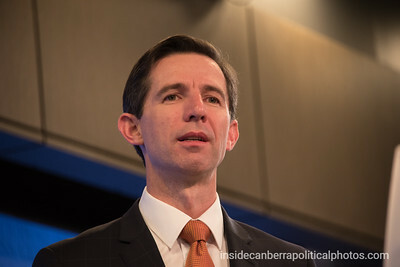 The Minister for Education and Training Senator Simon Birmingham responds to a question from the media. 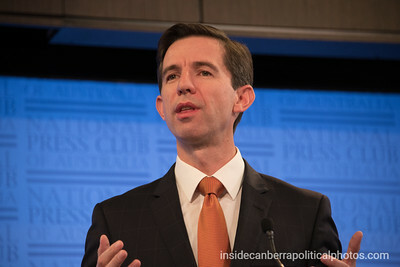 The Minister for Education and Training Senator Simon Birmingham responds to a question from the media with Sarah Martin to the left of shot. 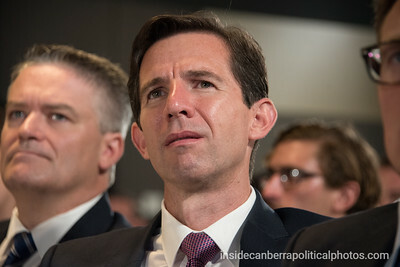 The Minister for Education and Training Senator Simon Birmingham responds to a question from the press. 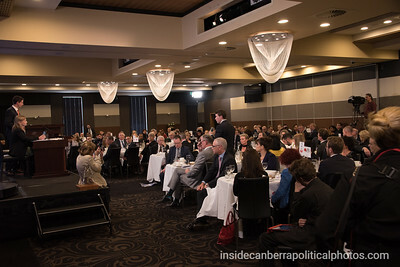 Sarah Martin, one of the National Press Club director's was the moderator for Simon Birmingham's NPC address. 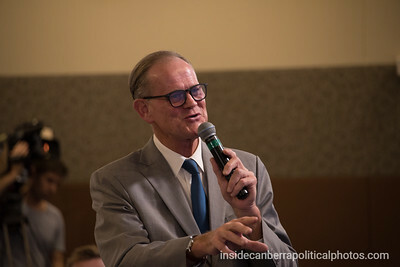 Michael Keating, Editor-in-Chief of Inside Canberra asks the Minister for Education and Training a question about a comment by South Australian Education Minister Susan Close. Ms Close commented on Facebook with the following. Hi Mario, four years ago we started a six year arrangement to increase school funding to a level students needed. Unfortunately the Hockey budget ended this agreement and we won’t get the $335 million needed in the last two years. 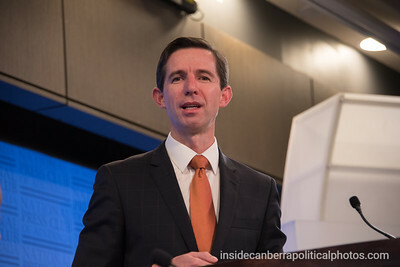 Minister Birmingham is suggesting that we will probably get about $70 million instead. We’re still working through the detail, but it’s obviously not enough money for SA schools to give students the resources they need. 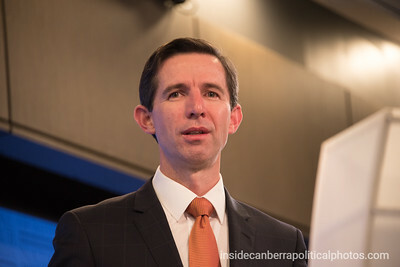 The Minister for Education and Training responds to Michael Keating's question about South Australian schools funding and says it is not accurate to say that SA won't get the $335 million needed and instead will get about $70 million as suggested by Susan Close MP, the Minister for Education in SA. 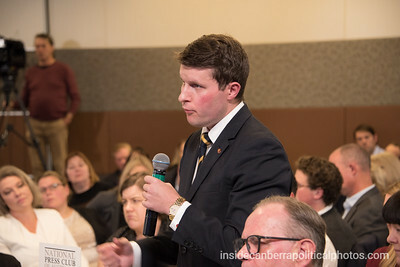 The Minister for Education and Training answers a question from Michael Keating about South Australian schools funding and says it is not accurate to say that SA won't get the $335 million needed and instead will get about $70 million as suggested by Susan Close MP, the Minister for Education in SA. 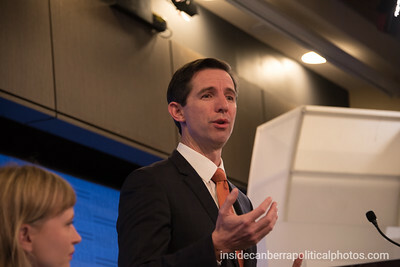 The Minister for Education and Training at the National Press club of Australia as he answers questions from the media following his address. 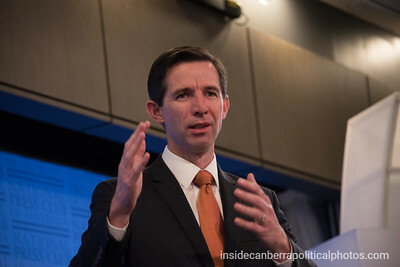 The Minister for Education and Training at the National Press club of Australia as he answers questions from the media following his address in Canberra. 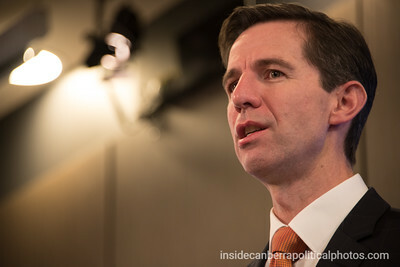 Side profile photo of the Minister for Education and Training. 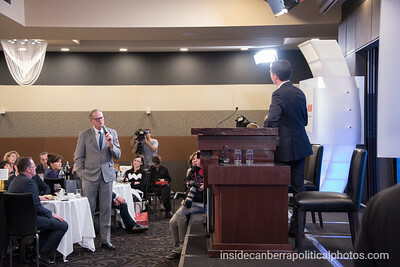 2CC radio morning presenter, Tim Shaw asks a question during Simon Birmingham's National Press Club address.